Days ahead of the presidential inauguration, T-Mobile has announced that it’s beefed up its coverage in Washington, DC. T-Mobile has rolled out new LTE features like 4×4 MIMO and 256 QAM to improve its coverage in DC. 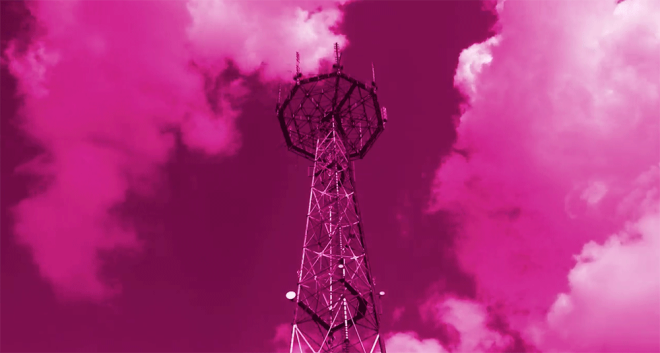 Other upgrades made by T-Mo include adding LTE spectrum to cell sites, deploying three carrier aggregation for 30+30 MHz of LTE, adding upgraded equipment like multi-beam antennas, and more than doubling the backhaul on several sites. The LTE capacity upgrades rolled out in DC are permanent, meaning that residents and future visitors will continue to benefit after the inauguration crowds are gone. These are significant upgrades, too. It is worth noting that some upgrades will only benefit you if you’ve got a compatible phone, though, like how 4×4 MIMO and 256 QAM are supported on T-Mobile’s S7 and S7 edge. Beyond those permanent upgrades, T-Mobile has also rolled out LTE cell sites on wheels (COWs) that’ll be on-site for multiple days before and after the inauguration. How about pushing some of those upgrades across the river? Since they most likely will remove some of it after all the ppl leave. They are only doing it because of the number of ppl and press that will be there. Well I guess we will see maybe that area was more important right now and they will push to your area next. Guess it is a waiting game. In the city of Pensacola is great. Pensacola Beach is awful. 5mhz of B2 is all there is for such a busy tourist area. And the area from Fairhope, AL up to Pensacola? Awful. In Tampa now and with the exception of the Lightning game yesterday, service is fantastic! They should have done this here in Las Vegas, Nevada for CES. Lately the speeds here have sucked during the afternoon and evening hours. Your lucky if you get over 3Mbps download speeds on LTE. Pretty ridiculous if you ask me and a good way to get laughed at in a city where one of the biggest electronic shows in the World is held and where there is an Arena named after the company. Hopefully they improve soon because at these speeds you are better off saving money and going with a cheap prepaid like TracFone. T-Mobile makes most of its money by building large cell towers which have a lot of range. It wasn’t long ago when T-Mobile’s VP, Alan Tantillo, said that the technology used to provide in-building service, service in hospitals and stadiums wasn’t ‘profitable’ for the company to build. You know- places where customers actually want to use the service. The article is titled “T-Mobile US DAS commentary: ‘I will hold my nose’” if you want to read it yourself. When customers want service, that means the company has to spend money on providing it instead of hosting marketing events, making ads, or giving people free Uber rides to the part of the street where the service works. My guess is because they had mobile units setup in place to give users at the convention the faster speeds. After midnight and before noon I have no issues at reaching close to 50-80Mbps… its after that though when the network suffers and takes a major hit. Sad because I would almost always see at the very least 20-30+ Mbps down no matter what time of day and nights were even better. Still only 79/34 Mbps courtesy of Speedtest, a mile up Rte 50 from the Arlington Cemetery. Seriously, what sped should we expect..? Being in Arlington I’m across the river from the DC and am often connected to DC-based towers. And, OK, what’s “downtown DC”..? Verizon Center area? Convention Center? Which area are you talking about? Indoors/outdoors..? I regularly commute, often on foot, from Rosslyn to Georgetown and beyond, and check the data connection speed pretty much for fun and got 40/28 Mbps on M street this morning. Not fast enough..? Yeah, there are famous dead spots in DC, but the situation has improved dramatically: a few years ago you couldn’t even make a phone call on a Friday afternoon in the Dupont Circle area and now there’s consistent 30-40 Mbps data. Yeah…walking up in dupont or elsewhere out of downtown you could expect those speeds, even double. But people live, work, and play inside buildings, not on the street. I don’t get why you tmofans defend so much the carrier, when my comment is to help clarify an information that although truth, would be misleading to a new or current client, making expectations based on technical information that don’t perform as it technically should. I hope people like you will comment on your experience and not for everyone. I live and work in DC and I barely ever drop calls or have slower data speeds, lately, my calls doesn’t even drop inside elevators like it did in a the past. Granted, some places in DC are slower than others and by that I means 50-80 range vrs 15- 35 range. I do work in K street by the way. One thing I’ve noticed is also phone brand and Year. It plays a big role in speed and call quality. I also visit my family in Bealeton and Warrenton most weekends and service is still great even in those remote areas. How about Kitsap County, Washington next? I swear they forgot about us after the B12 rollout. Assuming you can use all those upgrades during the event with all the jammers on. And even if no jammers, those “CoWs” are more likely to be Stingrays! Also, I thought we all got these upgrades (256QAM and 4×4 MIMO) a while ago in the form of a firmware upgrade to the base stations nation-wide. Did I miss something? How bout los Angeles ? We need this bad here downtown LA during rush hour your lucky to get anything above 3 Mbps . Santa Monica and Hollywood same thing . Was in weho last Wednesday my s7 edge and moms iPhone 7 were showing full LTE . But 1-2 Mbps down ! Santa Monica Pier is much worse as of today 2017 NO LTE at all whyyy!!! Got one little bar of hspa but no data was coming Tru AT ALL! And all my calls were dropped and I mean all … Not even text messages were being sent . I was able to get 1 bar of hspa and 2 of edge but calls didn’t work either on edge LTE just wasn’t there at all on any band. Till I started walking to the promenade which is bout 2 blocks from the beach I got 2 bars LTE . But still it don’t work no data comes tru at all . Hspa works there in the promenade about 1.5 Mbps but walk back to the beach or Pier and forget it your phone becomes worthless… Shockingly At&t is the same my coworker has an att iPhone 7 and same thing as T-Mobile in the beach and pier At&t has lots of problems his showed Lte but no data was coming Tru at all and all his calls were dropping and didn’t go Tru .. so not only T-Mobile has problems in that area so does At&t. All these issues you have listed above are the EXACT reasons why I dumped T-Mobile after using them for 3 years, and went back to Verizon. Besides the lack of extensive coverage, the inconsistency of the network was driving me insane. I could get insanely fast speeds approaching 100MBit/sec in one part of a city, and barely break 1MBit/sec in another. Sometimes data would not even respond at all forcing me to switch to HSPA. With Verizon over the last few months, I have yet to have an issue with slow speeds during my travels. If T-Mobile improves their network and coverage meets/exceeds Verizon’s, and starts winning in Rootmetrics at the state level across the country, then I will go back to T-Mobile. Honey i get u but here in LA no network is perfect . I had T-Mobile for 3 months berly before I had verizon from 2010-2016 and it’s is by no means perfect either . I can give u a list were verizon doesn’t work that good either Glendale, Riverside , adelanto , Victorville and many more places . Then again neither does T-Mobile work In them places..Guess cuz they dessert places outside the city? so either way here your screwed . And one reason I got T-Mobile was cuz supposedly I was gonna pay less . Uh uh I pay almost the same maybe 20-25 dollars less than on verizon . And coverage has been about the same . When I visit my family in those places I mentioned T-Mobile service struggles then again so did verizon I get edge on T-Mobile on verizon I got spotty LTE and mostly 3G evdo . Only plus from T-Mobile is call quality it’s much cleaner and clearer than verizons call quality whether it’s volte or over hspa it’s much better than verizons . Hmm, that’s odd. I’ve been as far out as the far end of the Pier (right where it ends, past the restaurants and where people like to fish) playing Pokemon GO and I got at least 2-3 bars of LTE and the speeds were fast enough to keep playing. Granted I haven’t been to the Pier since then, but I had the Nexus 6 back then (which came out in 2014). Now I have the Google Pixel XL, which actually gets better T-Mobile signal than my aging Nexus 6 did, so it’d probably work even better now. Honestly I don’t think I’ve ever been anywhere in LA that T-Mobile didn’t cover. It surely hasn’t been that slow (I’d notice since I browse the web a lot) either. So what phones can take full advantage of the updates….S7 and v20 only?